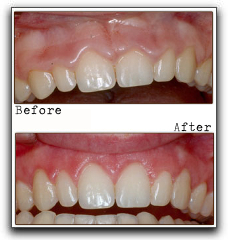 Some Orem and Provo dental patients who are interested in a full smile makeover might want to consider gum contouring. This cosmetic dentistry procedure is helpful for people who feel that their gums rest too low or too high on their teeth. If you feel that your gums cover too much of the surface of your teeth, it may seem that your teeth are too small and out of proportion with your mouth. For Provo, Orem, and Utah County residents who have teeth that appear too long, gum contouring may help with your appearance, but your Provo dentist may also feel that it is necessary to counteract gum recession, a condition that can lead to periodontal disease. Talk to your Orem area dentist about gum contouring. Many periodontists in the Provo area perform this procedure, as well as some general dentists. I’m Drs. 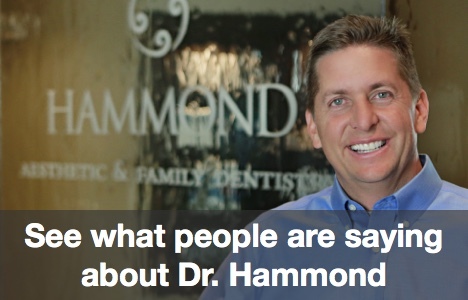 Dr. Hammond, and I’ve been practicing dentistry in Provo since 1996. One of the most rewarding things about my job is seeing my Provo, Orem, and Utah County patients gain renewed confidence in themselves after undergoing simple cosmetic dentistry procedures. Teeth whitening, bonding, porcelain veneers, as well as gum contouring can all have a dramatic effect on a person’s appearance. We are currently accepting new patients, so if you are looking for quality dental care in the Provo area, call us today at 801-374-0070 for an appointment! Have You Thanked Your Dental Assistant Lately, Orem?